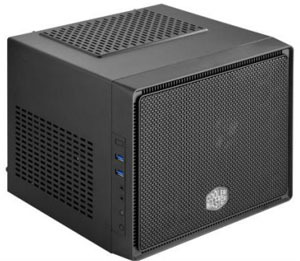 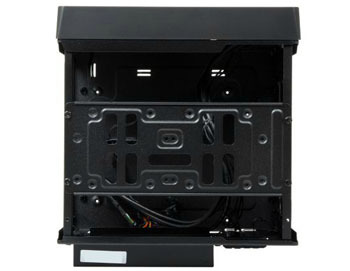 Cooler Master Elite 110 Mini-ITX Computer Case (RC-110-KKN2) - NWCA Inc. 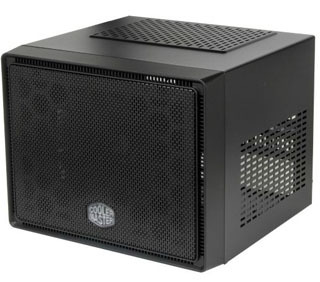 Despite its miniature size, the Elite 110 Mini Cube Case doesn't make any comprises on the capabilities. 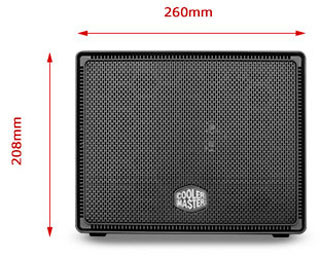 The intelligent interior design allows big performance in a small size. It boasts support for full size standard desktop components, and provides multiple options to install your storage drives. 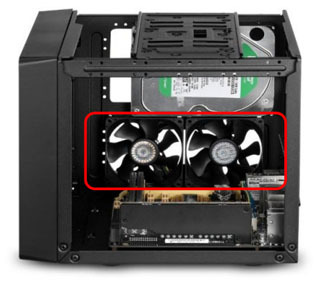 The highly efficient cooling solutions keep your system in top condition. 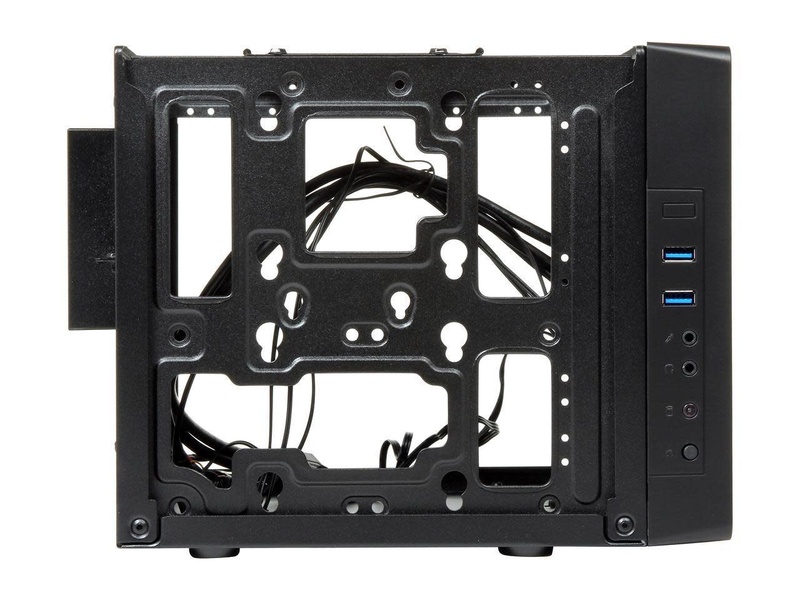 The handy side I/O panel gives you easy access to USB 3.0 ports, audio jacks, etc. 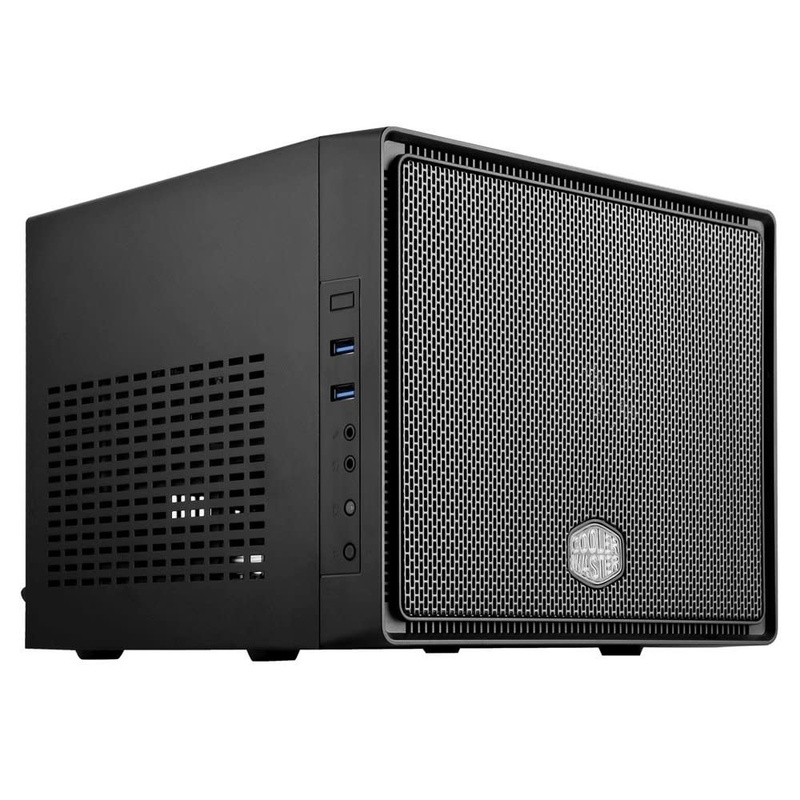 With an ultra-compact size of 8.2" x 10.3" x 11.1", the Elite 110 Mini Cube Case is engineered to fit in the minutest spaces while maintaining support for full-size standard desktop components with good cable management. 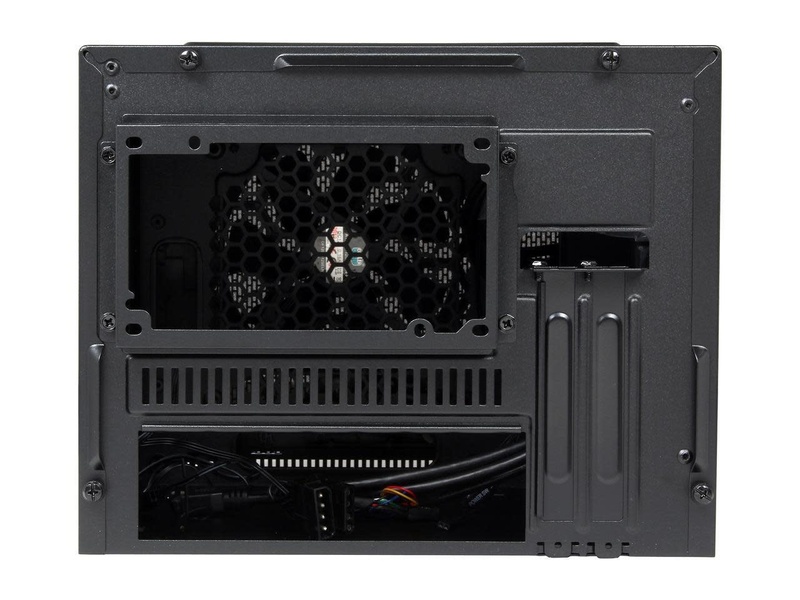 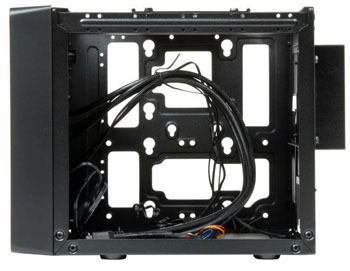 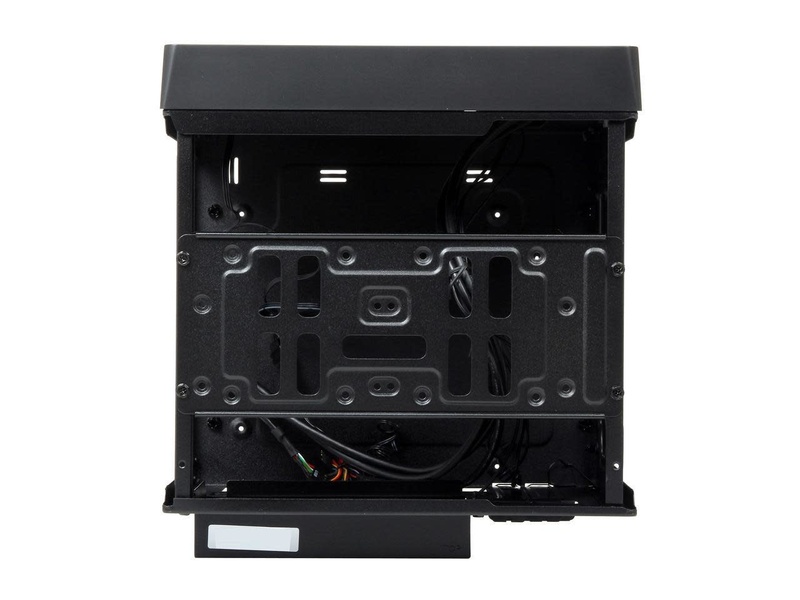 In addition to support for a Mini-ITX motherboard, it accommodates graphics card of up to 210mm in length, CPU cooler of 76mm in height, and standard ATX PSU of up to 180mm in length with less cable management. 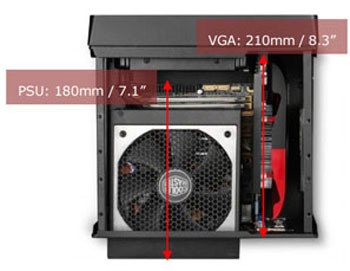 Two expansion slots provide flexibility for multiple graphics cards solutions. 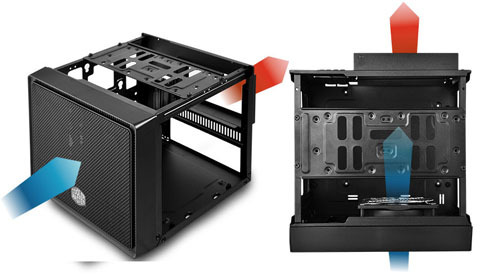 The Elite 110 provides multiple options to hold storage drives. 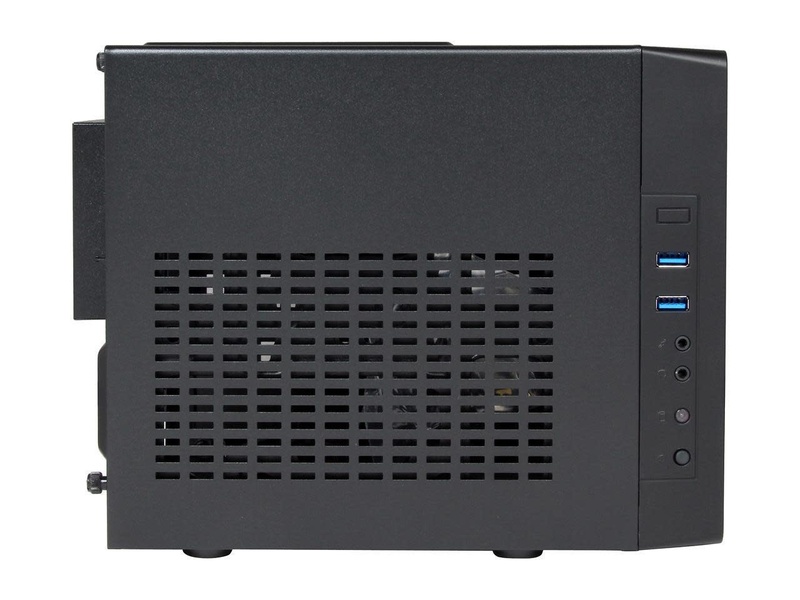 It can handle up to three 3.5" HDDs or a couple of combinations - two 3.5" HDDs and two SSDs; one 3.5" HDD and three SSDs; or four SSDs. 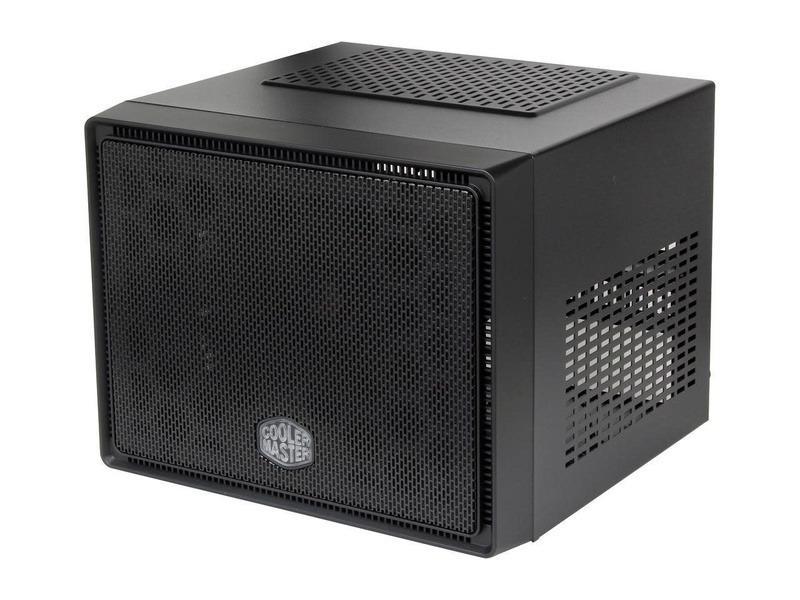 The Elite 110 Mini Cube features full force cooling with its included 120 mm front intake fan (compatible with 140 mm fans, not included), and two 80mm optional side fans. 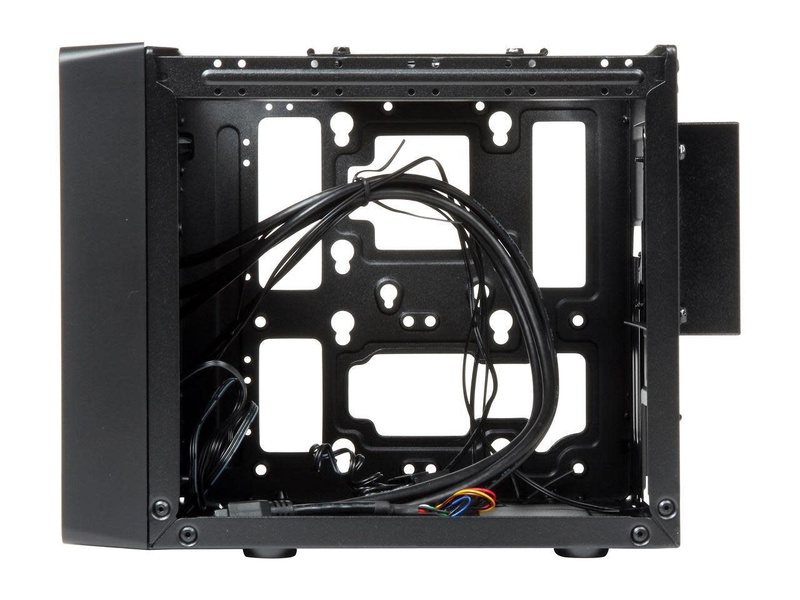 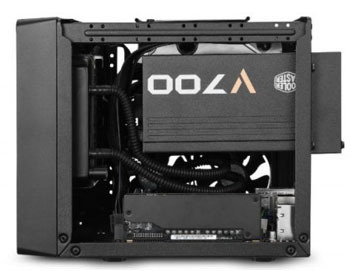 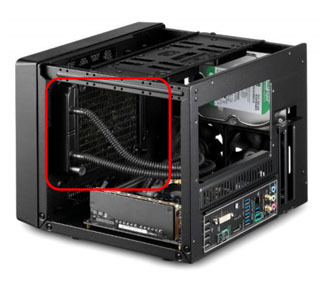 You can even mount a 120mm radiator in the front for extreme cooling. The front mesh panel and vents on the top and side panels provide extra airflow for maximum breathability. The side panel provides audio in & out jacks to meet your audio needs, two SuperSpeed USB3.0 ports for blazing-fast data transfer speeds, as well as reset buttons.